If dismissal feels crazy in your classroom, you're not alone. 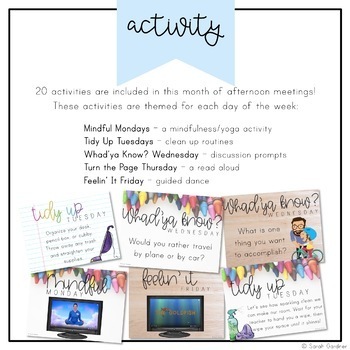 These afternoon meetings may be just what you need to rein in the craziness! These paperless, no-prep slides will give you your time (and sanity) back in the afternoons! 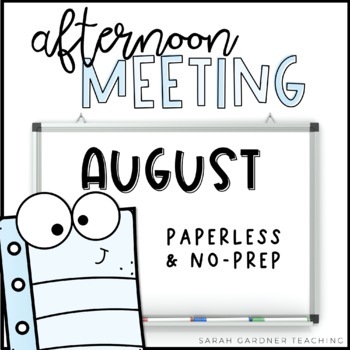 Three weeks of seasonal, paperless afternoon meetings are included in this download. Each week's worth of meetings are included in both PowerPoint and PDF versions. Choose the format that best fits your needs! Unlike my Morning Meetings, Afternoon Meetings are not grade specific and would work well for grades K, 1, and 2. 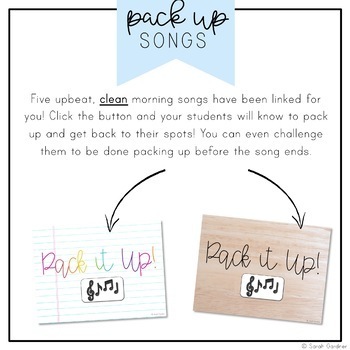 Five upbeat, clean songs can been linked for you – simply click the link and watch your students boogie as they pack up! A different song is linked for each day of the week. Feelin' It Fridays: guided dance right into the weekend! This reflection routine will help you fine tune any classroom management issues you may be having. First, students will brainstorm ways they "glowed" as a team. Then, they will brainstorm ways they can "grow" to be an even better team. This is a great time to set classroom goals and check in on progress. Have upcoming events that you want to share with your students? Want to get a head start on reviewing expectations before the assembly tomorrow? These slides are perfect for just that! These are editable to fit your needs! 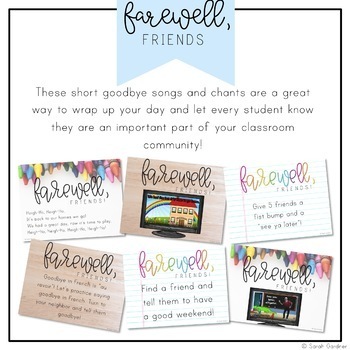 These short goodbye songs and chants are an excellent way to wrap up your day and make sure every student feels like an important part of your classroom community.